Focal, glass, black, 30x17mm faceted moon. Sold individually. 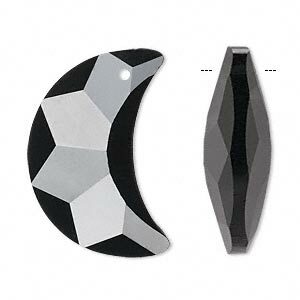 With attractive double-sided faceting, this glass moon focal component is polished for appealing sparkle, and is a great addition to jewelry designs. Items are made with solid color glass, which means the base color of the glass is saturated throughout the object and will not fade or rub off over time. Colors, shapes and sizes may vary slightly due to different dye lots and cutting techniques. May contain some minor surface imperfections. 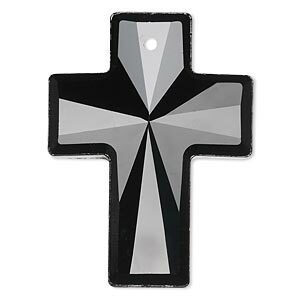 Focal, glass, black, 40x30mm faceted cross. Sold individually. 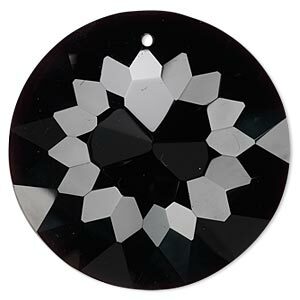 Focal, glass, black, 45mm faceted disc. Sold individually. 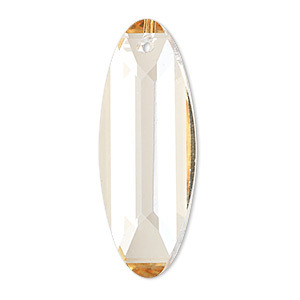 Focal, glass, champagne, 38x14mm hand-cut faceted oval. Sold individually. 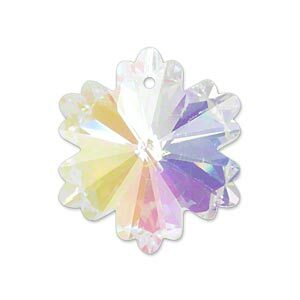 Focal, glass, clear AB, 30x26mm hand-cut faceted snowflake. Sold individually. 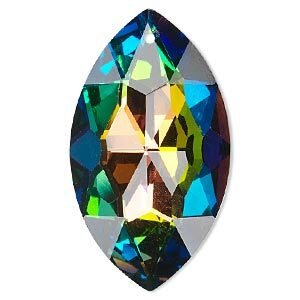 Focal, glass, clear vitrail, foil back, 46x26mm hand-cut faceted marquise. Sold individually. 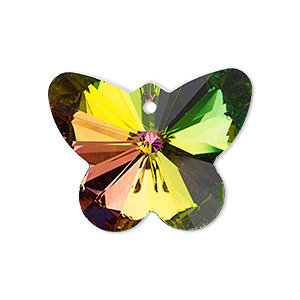 Focal, glass, clear vitrail, foil back, 30x23mm hand-cut faceted butterfly. Sold individually. 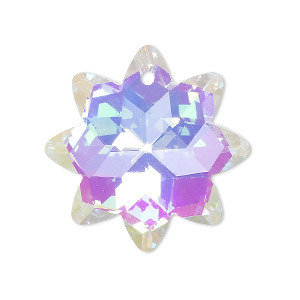 Focal, glass, clear AB, 30x30mm faceted star. Sold individually. 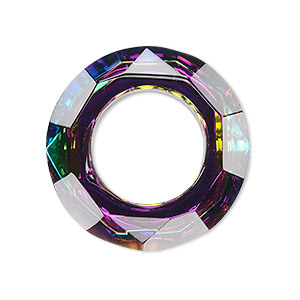 Focal, glass, clear vitrail, foil back, 30mm faceted round donut. Sold individually. 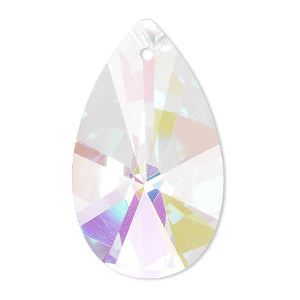 Focal, Celestial Crystal®, clear AB, 38x22mm faceted teardrop. Sold individually. 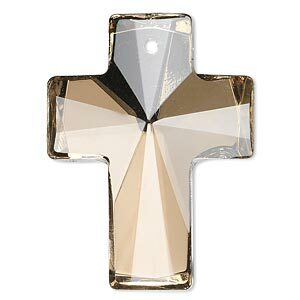 Focal, glass, coffee, foil back, 40x30mm faceted cross. Sold individually.